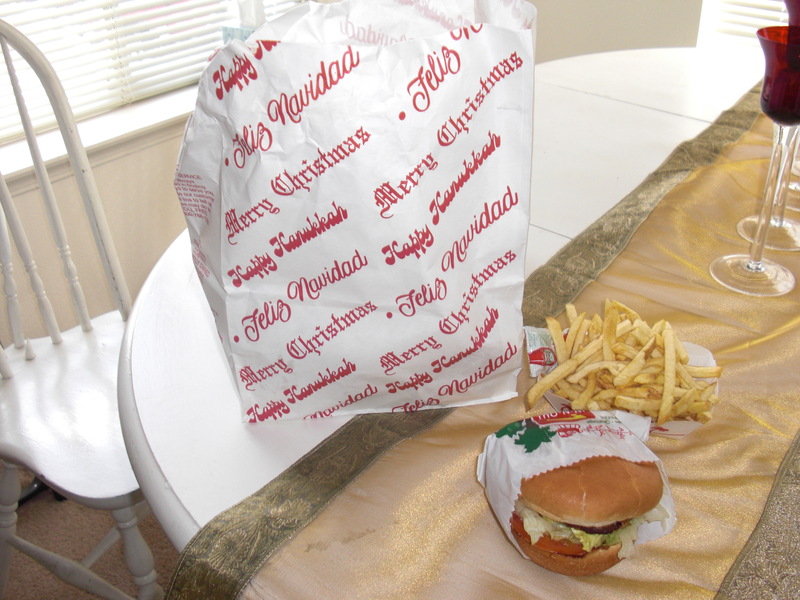 Selfish Christmas Shopping and In N’ Out is Here! As many of you know the fast food chain In N’ Out has made it to Utah. There are four locations opening in the next few months including one in Draper. In fact, it is about 2 minutes from my house, which is mostly a blessing but also quite the temptation. So far I have avoided the deliciousness mostly because of the long lines- the drive through still has long wait. Opening week the drive through wait was over an hour! For the past two weeks I have been sick and miserable (and still have a strain of it hanging on for dear life!). Finally today I decided to treat myself. I dropped my dad off at the airport and did a little shopping- finally bought some snow shoes, a slipcover for my ugly sofa, some shampoo/conditioner/makeup, an entry-way mat, and Christmas cards. I went shopping thinking of getting gifts for Christmas presents but to be honest I have already gotten most of my presents. I have a few more to make but that’s about it. This leads me a little room to buy some presents for myself! Let’s face it sometimes a girl just needs to spoil herself! These are the shoes I bought. 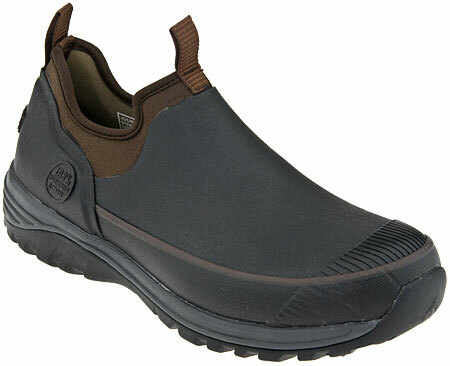 They are called Bogs, and I know they are ugly but they are ultra comfortable, and will be super in the snow. I am excited about the purchase because most boots/winter shoes are hard for me with my wide calves and high arches! I’m very excited about them. After all this bustling about I decided to brave the line at In N’ Out. In reality it wasn’t too bad a wait. I went inside and it took maybe 5 minutes to get my order.Then I thoroughly enjoyed a regular hamburger with grilled onions, french fries and a chocolate shake. 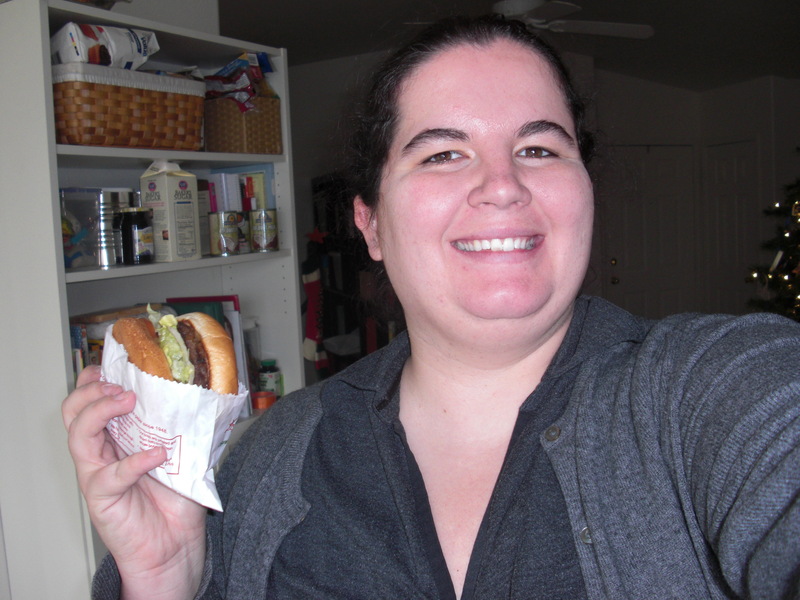 It was terrible for me but yummy- and worth it! The shake tasted good on my sore throat and the comfort food was great. It made me happy. The whole afternoon cheered me up. I needed a nice productive happy day with good food. Yeah! I love buying Christmas presents for myself sometimes! And thanks again for the super thoughtful and wonderful Christmas present-I still want to call but things have been insanely busy again lately. I will be up there in just over a week so I’ll give you a call and drop by your present. I’m so glad you liked it! I love my electric tea kettle and use it practically everyday. Hope you have a good holiday. See ya soon.